Shop online for 108 pike-stuff model trains at discounts up to 46%. Buildings is the most popular of the 5 pike-stuff model trains categories, then Scratch Supplies, and Roadway. 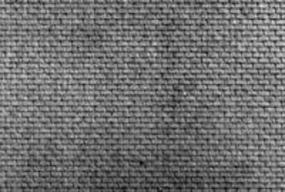 This is the HO Scale Shingle Roof Sheets Kit (2) from Pikestuff. This is the HO Scale Machine Shop Doors & Windows Kit (8) from Pikestuff. 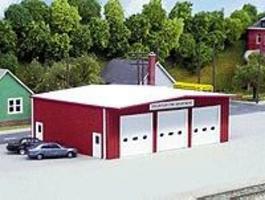 This is the Fire Station Kit (Red) 7 x 5-1/2'' 17.5 x 14cm in HO-Scale by Pikestuff. This is the HO Scale Modern Single or Double Stall Engine House Kit from Pikestuff. This is the HO Scale Yard Office/Storage Kit from Pikestuff. This is the HO Scale Solid Entry Door Kit (3) from Pikestuff. 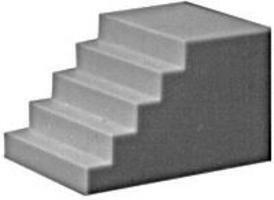 This is the HO Scale Concrete Staircase Kit (3) from Pikestuff. 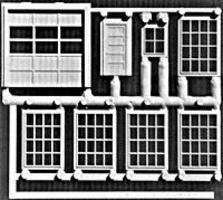 This is the HO Scale Gutters, Downspouts, Chimney & Electric Meter from Pikestuff. 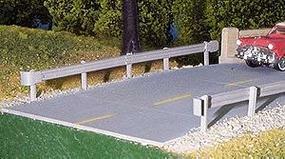 This is the HO Scale Highway Guard Rail Kit (3) from Pikestuff. This Pikestuff HO Scale Plastic Assembly Kit Makes a Small Enginehouse That Can Be Included On Your Train Layout. The Kitbasher Series from Pikestuff. This is the HO Scale 20' Store Front (Flush Entry) from Pikestuff. This Pikestuff HO Scale Plastic Assembly Kit Makes a Truck Terminal That Can Be Included On Any Model Layout. The Kitbasher Series from Pikestuff.. 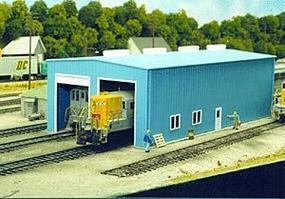 This is the HO Scale 10' x 12' Overhead Door (2) from Pikestuff. This is the HO Scale Long Interlocking Concrete Block Sheets (4) from Pikestuff. 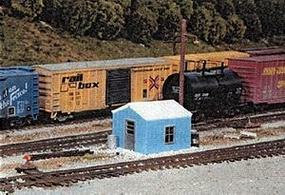 This is the HO Scale Three-Size Yard Office Kit from Pikestuff. This is the HO Scale 20' Store Front (Recessed Entry) from Pikestuff. This is the HO Scale Contractors Building Kit from Pikestuff. This is the HO Scale Highway Guard Rail Kit Set 1 from Pikestuff. This is the HO Scale Loading Docks & Ramp Kit from Pikestuff.